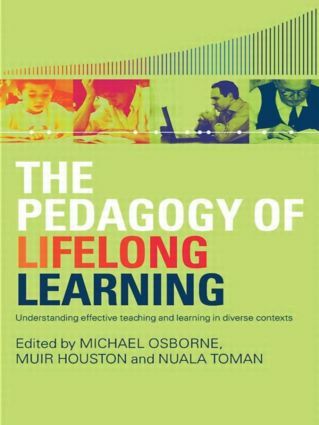 Presenting a snapshot of contemporary international research into the pedagogy of lifelong learning and teaching, this book focuses on a wide range of issues related to lifelong learning, including higher education, community-based learning and literacy practices in continuing education. It highlights the fact that the wide-ranging conclusions they draw have vital implications for this rapidly changing field. The book reviews the emerging issues from researching teaching and learning in different post-school contexts - an issue which has grown in research importance around the world in recent years - with the concern both to widen participation and improve student attainment. Examining empirically, methodologically and theoretically contemporary research in teaching and learning in diverse contexts, it focuses on three main areas: learning careers and identities; pedagogy and learning cultures and learning beyond institutions. Older adults’ learning patterns: Trajectories and changing identities? What are the implications of an uncertain future for pedagogy, curriculum and qualifications? Blogs and wikis as disruptive technologies: Is it time for a new pedagogy?